Claudia B., 37, was married to her abusive, drug addict husband and father of her youngest son, Oskar, 4, for almost ten years when she finally decided to leave him in April 2016. Claudia eventually found the courage to escape the circle of violence after her husband attempted to poison her, she said. Although she was afraid to leave in fear of the consequences, Claudia packed the most needed belongings, took her children and sought refuge at a women’s shelter in Berlin. Claudia, who received Hartz IV social beneficiary aid, spent three months at the women’s shelter. She soon started looking for a new apartment for herself and her three sons. After receiving several rejections from landlords that stigmatize women under such social circumstances, she finally found a new home in June 2016. Through psychological counselling, help from social workers and a committed lawyer, she slowly but steadily regains her self-confidence and empowerment. She is now building a new life with her children and wants to encourage and inspire other women to break free from their abusive relationships. Claudia B., 37, and her son Oskar, 3, play inside their room in a safe house for women who have been subject to domestic violence in Berlin, GERMANY, on June 7, 2016. Claudia had been married to her abusive, drug addict husband and father of her youngest son, Oskar, for almost ten years when she finally decided to leave him in April 2016. She has since found a new home, where she lives with her three sons, as well as finding a new job. Claudia B., 37, and her son Oskar, 3, visit the office of a real estate agent to sign their rental agreement in Berlin, GERMANY, on June 9, 2016. As a single mom and recipient of the so-called Hartz-IV unemployment social benefit, Claudia received several rejections before finding a new home for her and her three sons. Financial dependency prevents many women to dare break free from abusive relationships. Claudia B. 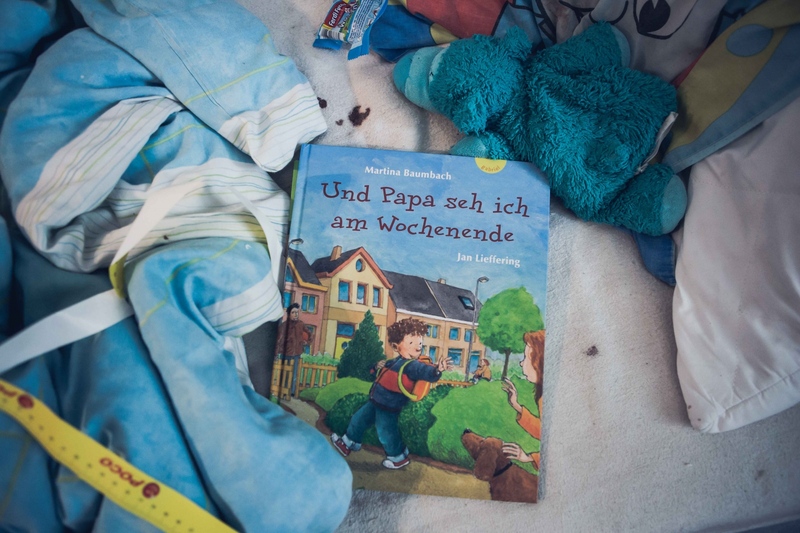 37, uses this children's book to explain his father's abscence to her son Oskar, 3: "Und Papa seh ich am Wochenende" (engl: "And I see daddy on weekends". Berlin, GERMANY, July 7, 2016. Claudia B., 37, shares a smoke with another woman in front of the jobcenter in Berlin, GERMANY, on June 27, 2016. Claudia receives the so-called Hartz-IV unemployment social benefit. This day she applied for furniture money for her new apartment. 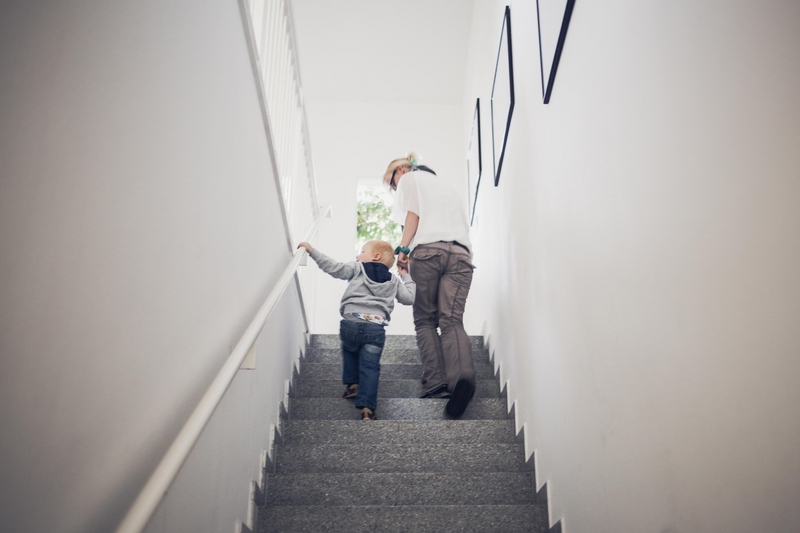 Claudia B, 37, and her son Oskar, 3, at the office of a real estate agent. Claudia studies the rental contract for her new apartment. As a single mom and recipient of the so-called Hartz-IV unemployment social benefit, Claudia received several rejections before finding a new home for her and her three sons. Financial dependency prevents many women to dare break free from abusive relationships. 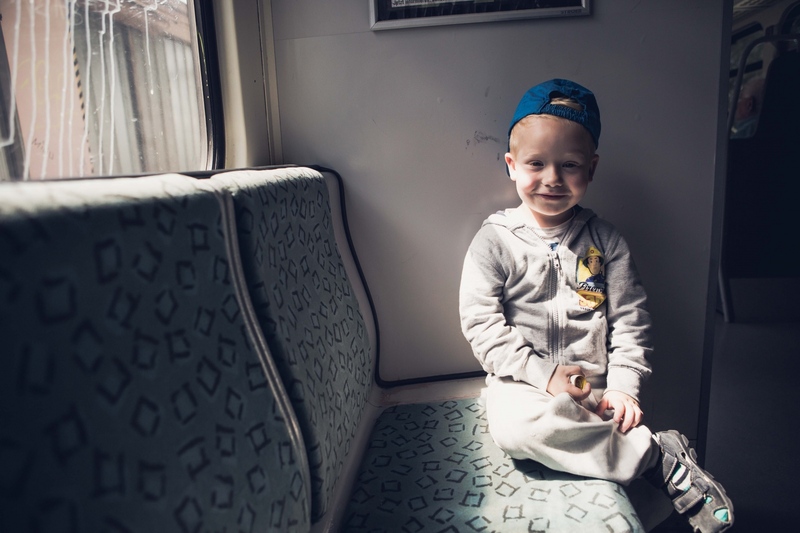 Oskar B., 4, rides the subway during a day of running errands with his mother. 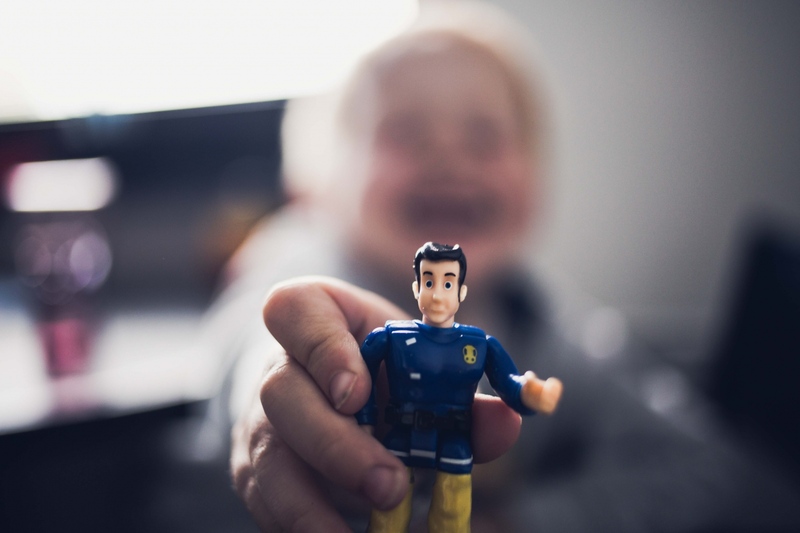 Claudia had been married to her abusive, drug addict husband and father of her youngest son, Oskar, for almost ten years when she finally decided to leave him in April 2016. She has since found a new home, where she lives with her three sons, as well as finding a new job. 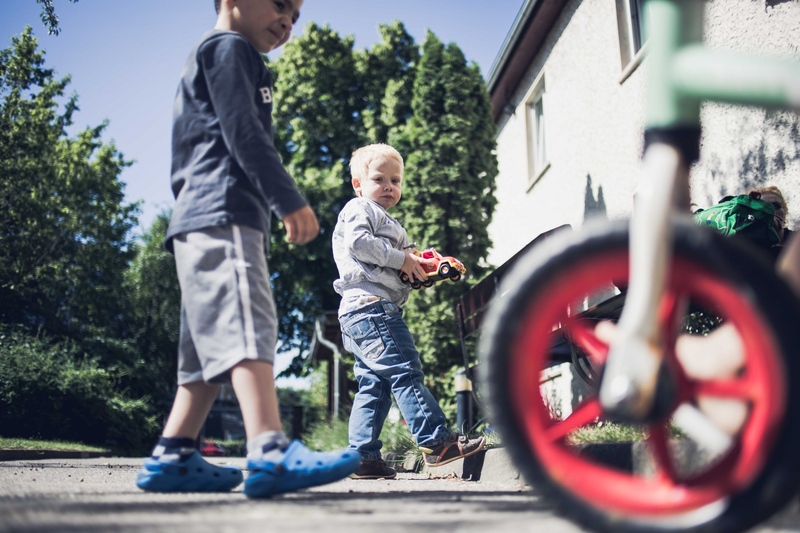 Oskar B., 3, plays with other kids at a safe house for women who have been subject to domestic violence. According to WHO 25% of German women have experienced sexual and/or violent assault in their relationships. Berlin, GERMANY, June 9, 2016. Oskar B., 3, plays with a toy while his mother Claudia, 37, discusses the contract for their new apartment with the real estate agent in Berlin, GERMANY, on June 9, 2016. 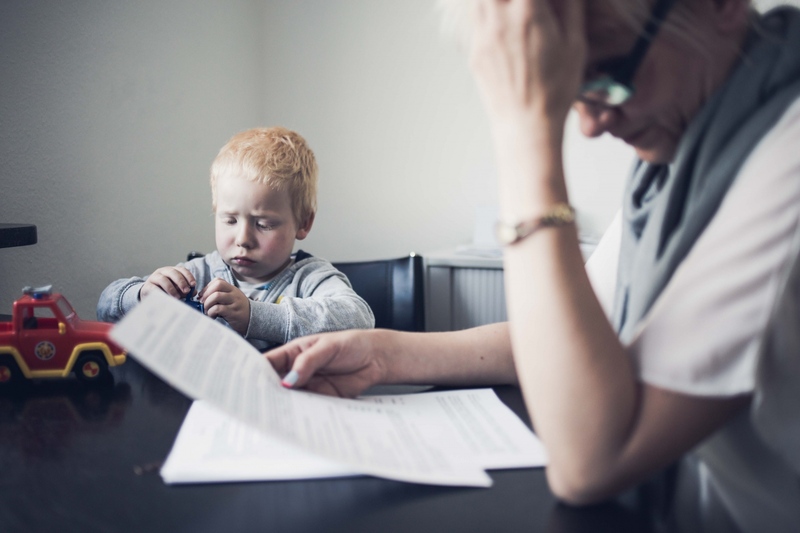 As a single mom and recipient of the so-called Hartz-IV unemployment social benefit, Claudia received several rejections before finding a new home for her and her three sons. 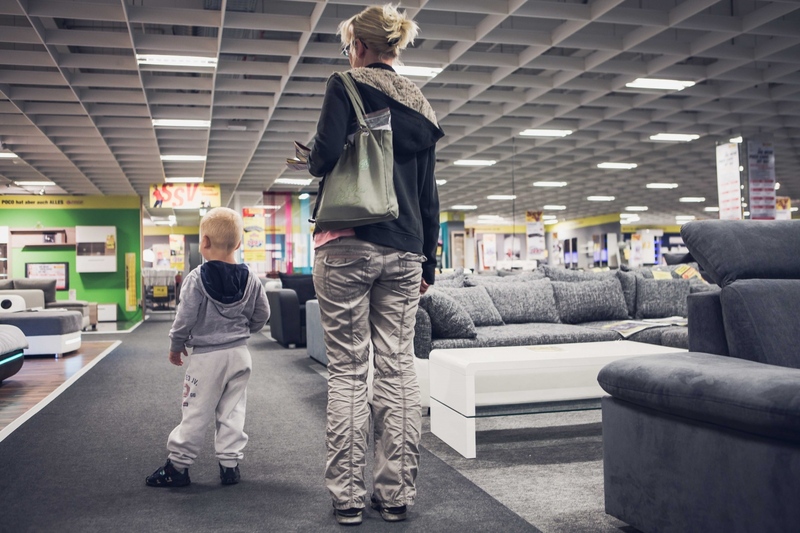 Claudia B, 37, and her son Oskar, 3, go shopping for furniture for their new apartment. After only three months in the safe house and several rejections from landlords that stigmatize women with her social background, Claudia was lucky to find a new home for her family.